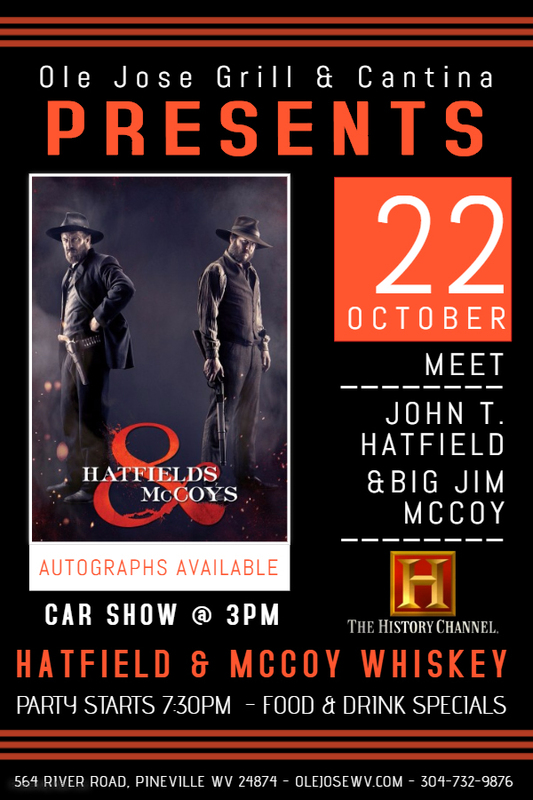 WHAT: The Road Angels Cruise into Ole Jose at 3pm with cars from the History Channel’s Hatfield & McCoy reality show. Hatfield & McCoy are names that are synonymous with an unrelenting rivalry. Now, after feuding for more than 150 years, the descendants of the Hatfields and McCoys have agreed on something: the real taste of American whiskey. Meet the real descendants of Hatfield & McCoy, get their autographs and party with us for the evening. 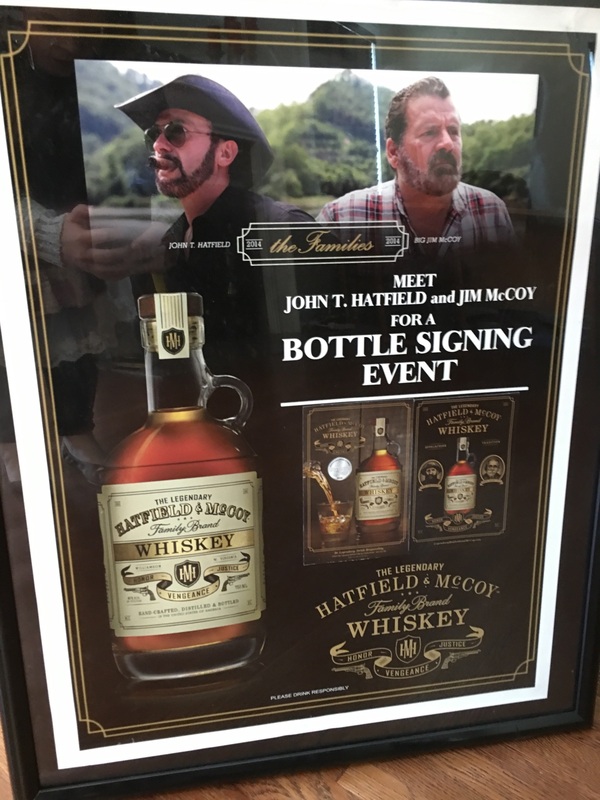 WHO: Please join Big Jim McCoy, John T Hatfield for a whiskey tasting, bottle signing, and story swapping. WHEN and WHERE: Saturday, Oct. 22nd from 3pm, bottle signing at 7:30 pm at Ole Jose WV.